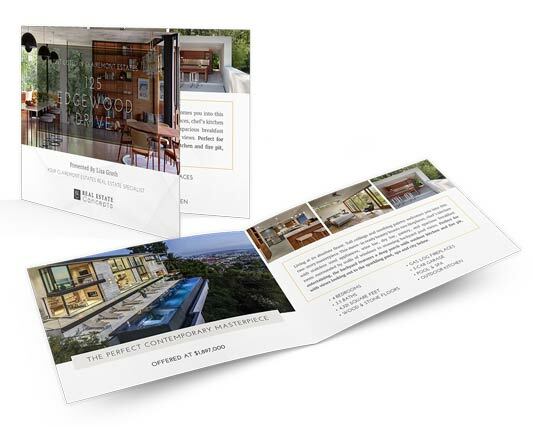 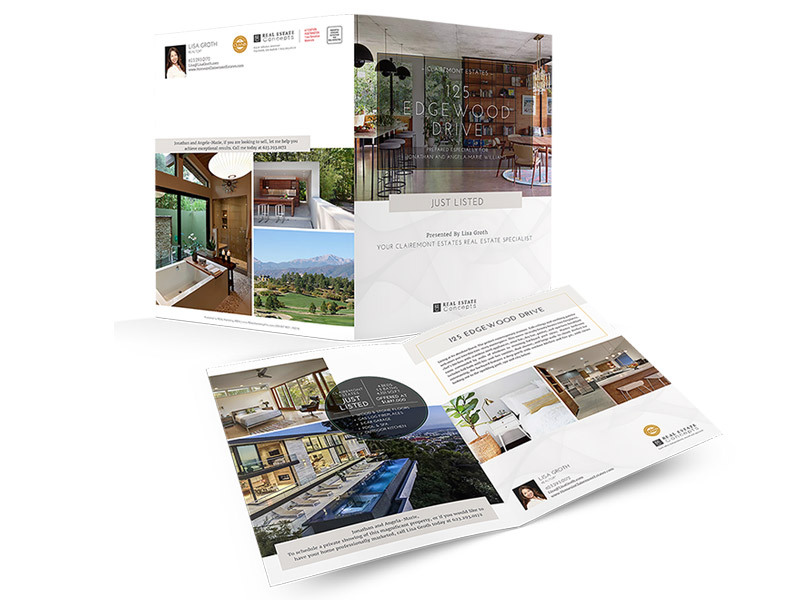 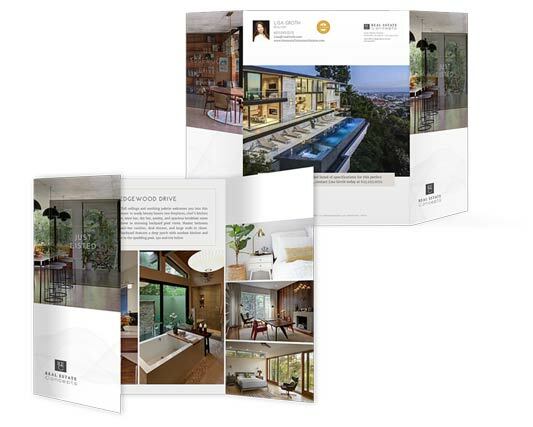 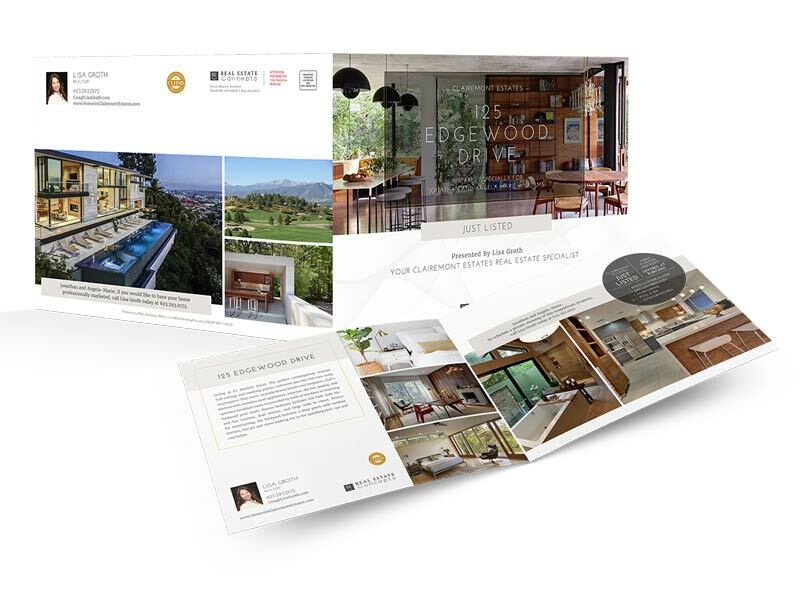 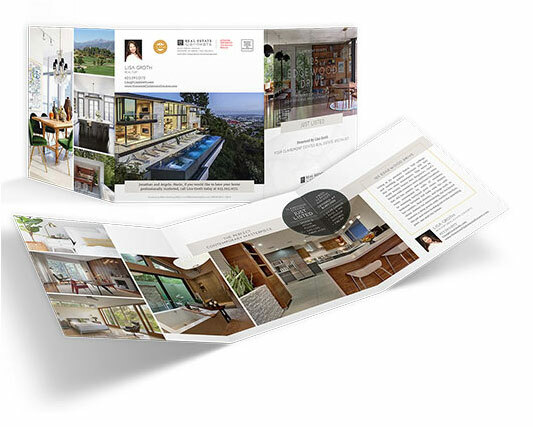 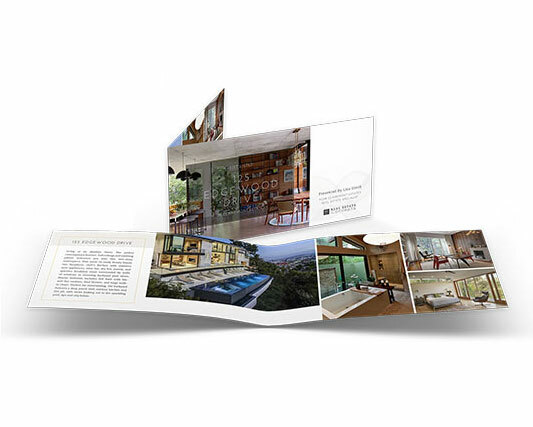 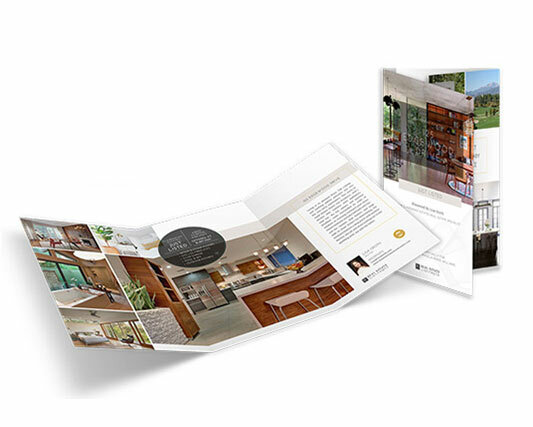 Position yourself as the marketing expert in the eyes of your current and potential clients by outclassing the competition with these professionally designed brochures and postcards. 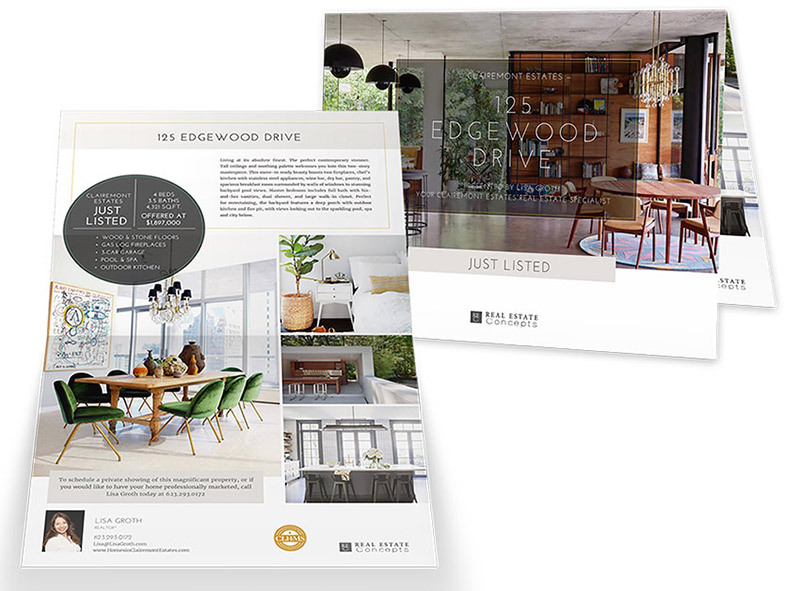 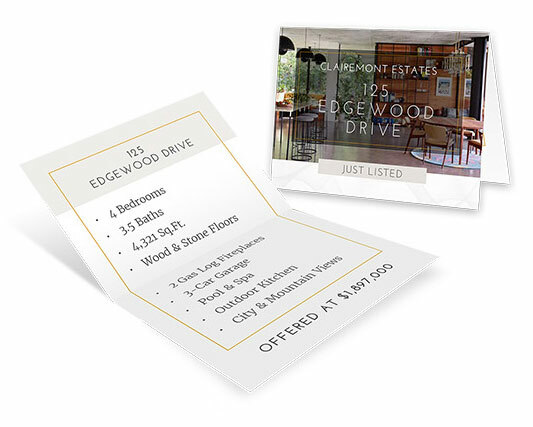 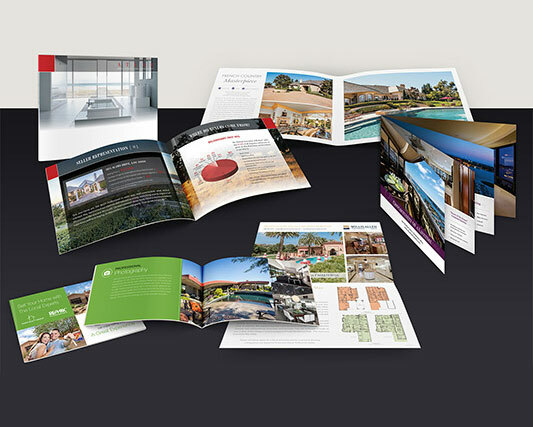 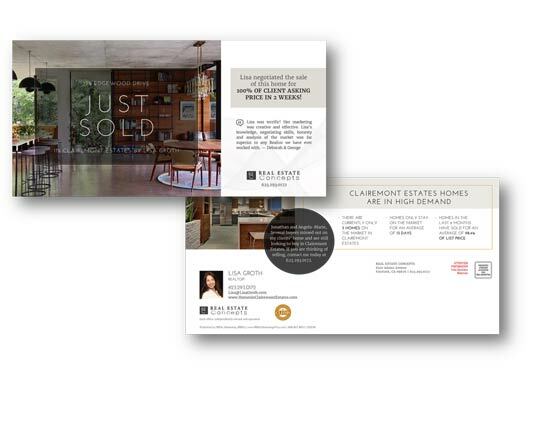 Unique designs, unusual sizes, effective ‘call to action’ messaging, relevant information, stunning designs, photographic layouts, and informative property descriptions are all designed with brand consistency that will set you apart and effectively connect you with potential clients. 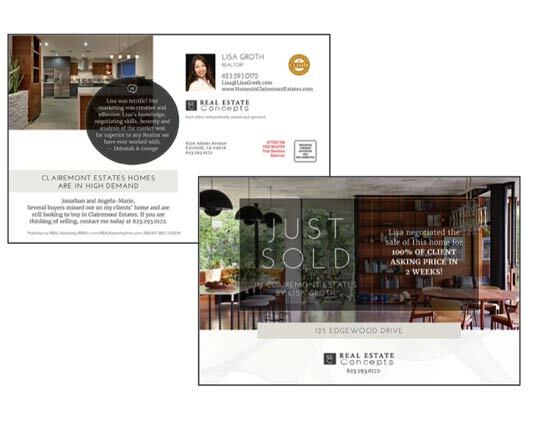 Leverage your business to the next level by demonstrating to clients your professionalism and success in marketing homes. 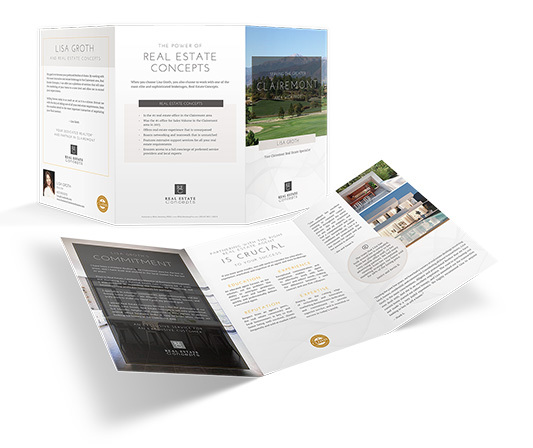 You will work with a dedicated designer to create these professional marketing materials – customize as little or as much as you choose and ask about how we can provide exciting new digital versions that will enhance your social and internet marketing campaigns.